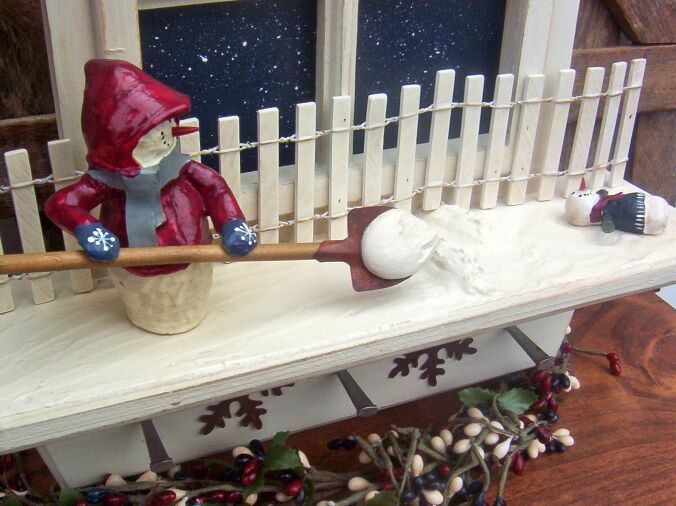 This is a wooden window with a resin snowman shoveling snow. The baby snowman is making snow angels in front of the wooden fence. 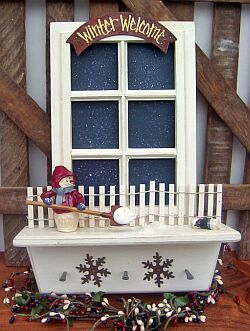 It has 3 metal pegs across the bottom, tin snowflakes, and a rusty tin banner on the top that says "Winter Welcome". Through the window you can see a snowy winter night. It measures 13 X 10 X 3.